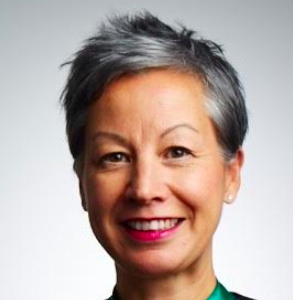 Jacqueline de Rojas CBE is the President of techUK, representing 900 companies in the tech sector. She is Chair of the Board of Digital Leaders and co-Chair of the Institute of Coding. Passionate about inclusion & lifelong learning this is 5Mins 5Qs with the phenomenal Jacqueline de Rojas. Jacqueline is passionate about diversity and inclusion and is a powerful change agent & leader in the digital & consumer space. She says "Behaving like a great leader means behaving like a great human: Small moments of kindness and generosity matter and they can make the biggest of differences." Jacqueline spent most of her childhood trying to be inconspicuous and now she's one of the most dynamic women in tech. Here's how she went from survivor to thriver and got out of her own way. Sunita Sehmi, Exec. Coach I Safety, Inclusion & Belonging Consultant | Facilitator | Author of "How To Get Out Of Your Own Way" Out soon! 1.What’s got your attention at the moment? A couple of things are on my radar…..First is the increasing rate at which algorithms are deciding our futures. Whether this is a job interview, a loan, benefits or getting a place at university. Many of these “outcomes” are generated by an algorithm, robot or machine process. And most are designed with the inbuilt bias of the people creating them. Given that we have very little diversity in tech; 17% women, very little neurodiversity, low numbers of BAME representation and the list goes on, these algorithms are not generated with everybody in mind. So our digital future does not include is all and that bothers me….I strongly believe we need to ask ourselves this one question when we are designing for our future: Where are the others? Second on my mind is Gender pay gap reporting – Whether you agree with the metrics used in gender pay gap reporting or not, the fact is that it tells the story of ‘where the money is and where the power lies’ inside an organisational structure. The data is a stark reminder that more needs to be done but WITH the data we can better understand the issues and target action to level the playing field. WISE also published this piece, explaining that pay gap may widen but this might mean that companies are more successful in improving their gender skills pipelines by having more women enter at entry level. 2. What are you reading at the moment? Invisible Women by Caroline Criado Perez. Yuval Noah Harari’s 21 Lessons for the 21st Century plus my novel is Alias Grace by Margaret Attwood. 3. What’s the one life lesson you have always kept with you? This has to be something that came from my childhood. I had learnt at a young age to be extremely resilient given my violent father and compromised relationship with my step-father. Life wasn’t easy and there wasn’t much light but I did learn that when one door slams shut another one opens and so my life lesson would be to “always look for the miracle”. There is always one if you look hard enough and especially if you choose to reframe challenges as learning opportunities. For me there is only success and there’s learning! I recall being told, when I wasn’t given a promotion that I had worked hard for, the reason I didn’t get it was because they simply didn’t put women on the leadership team. That was hard! But when I reflected on what the miracle might be, I. Thought “at least he told me”. I would have been really distraught if I had stayed banging my head against that glass ceiling for another few years! 4. What ’s your hope for women? 5. How can we get out of our own way ? I rather like to think that we positively get IN our own way. Reaching out the hand of generosity is a feature of the UK tech network. I am surrounded by the #Sisterhood and by #Manbassadors, who care about creating opportunity and diversity for everyone. We are not waiting for the cavalry to arrive, we are all playing our part. We are all role models whether we choose to be our not and our behaviour is copied, so we had better make the footprints we leave behind, ones that are worthy if our values! I believe it is the small, personal moments of change and generosity that will change the momentum for a diverse future. I choose to think that we stand on the shoulders of each other to make it better for those that come after us. Sunita’s clients include CERN, Facebook, GAVI Alliance, IMD Business School, McKinsey, Novartis and The Tata Group, to name a few. Her overriding driver is “helping people to get out of their own way.” She is a pro-bono mentor for the Richard Branson Centre of Entrepreneurship, The Cherie Blair Foundation for Women and a volunteer at the Foundation Hospice, la Maison de Tara.